Microsoft has already ceased mainstream support for it’s Windows Server 2008 platform. Security updates will still be available for a few more years, but Microsoft has signaled that it has moved on. As an IT organization there is no reason that you should still be on Windows Server 2008, but we know that many organizations still are. Part of the reason for this, according to many IT folks, is that being forced to migrate Active Directory from Windows Server 2008 is an impediment to making the migration. Where to go with Windows Server 2008? While Windows Server 2008 isn’t as bad as being on Server 2003, it is still quite old and presents significant risks for an organization. Older software means more vulnerabilities and maintenance for IT staff. IT organizations need to weigh the risk of being compromised with the old platform versus the effort and cost required to migrate. This situation has left many IT organizations at a crossroads. Do they continue to invest in on-prem related equipment and software, like an upgrade to Windows Server 2012 or 2016? Or, do they look to make the leap to the cloud? Sometimes these decisions extend past just the immediate need to migrate off of Windows Server 2008. Especially with Active Directory, there needs to be a plan for how identity management will be resolved for the organization. Microsoft has introduced Azure Active Directory® as a way to try to move to the cloud, but unfortunately, Azure AD is not a cloud replacement for Active Directory. This means that even moving to the cloud with Microsoft requires IT organizations to be tied to their on-prem AD server. If you are looking to migrate Active Directory from Windows Server 2008, what are your options? We’ve already discussed two of them – upgrade to a newer version of Windows Server or try to make the leap to Azure Active Directory. Neither of those are great options for most IT organizations. They don’t present any cost savings, and the amount of work stays the same or goes up. However, there is a third, better option for IT admins. 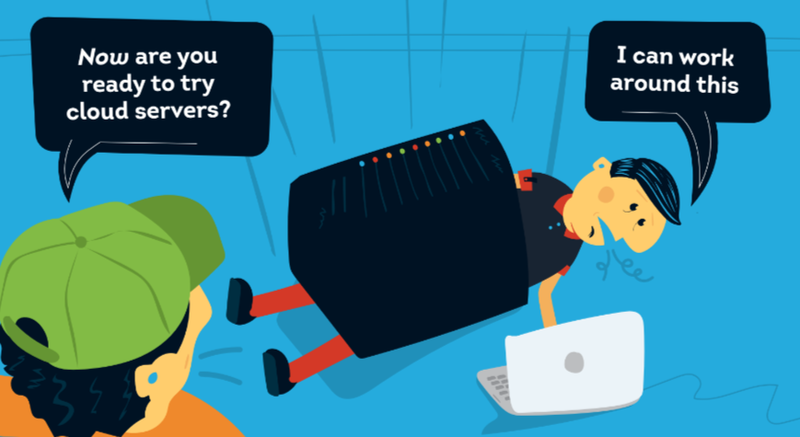 Make the leap to a cloud identity management platform called Directory-as-a-Service®. As a cloud directory service, Directory-as-a-Service eliminates the need for Active Directory entirely, and it is delivered as a SaaS-based product from the cloud. That means that IT organizations can eliminate the hardware and software on-prem for their Active Directory instance. 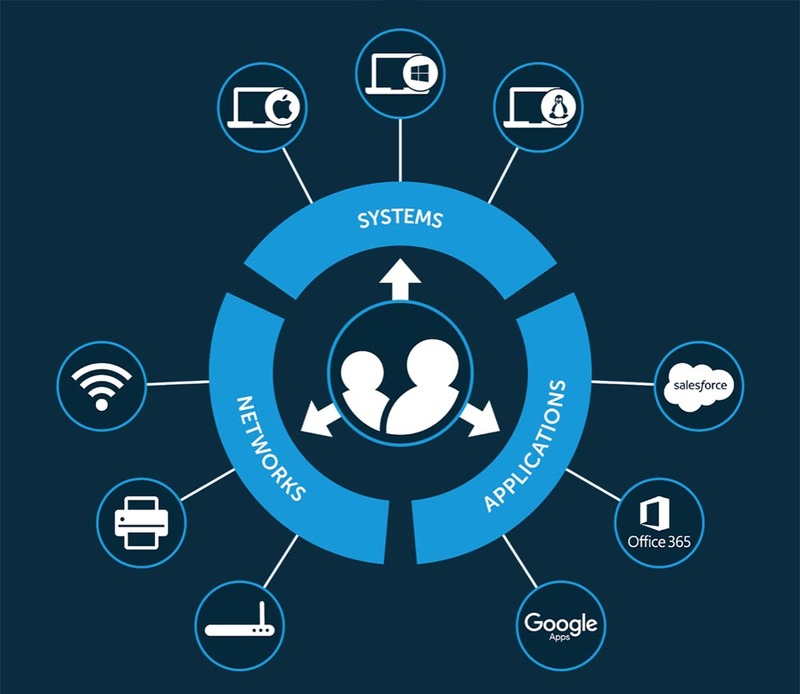 The organizations can rely on the third party provider for networking, security, backups, and availability, And those tasks free up the IT organization to focus on other critical areas. Additionally, because the cloud directory is vendor neutral, the IT organization can now support Windows, Mac, and Linux systems, cloud or on-prem servers at AWS, Google Cloud, and others, web and on-prem applications authenticated via SAML or LDAP, and wired or WiFi networks via a cloud RADIUS implementation. In short, Directory-as-a-Service is a complete alternative to Active Directory, and eliminates the need to migrate Active Directory from Windows Server 2008. In fact, IT can just eliminate their Active Directory instance all together. 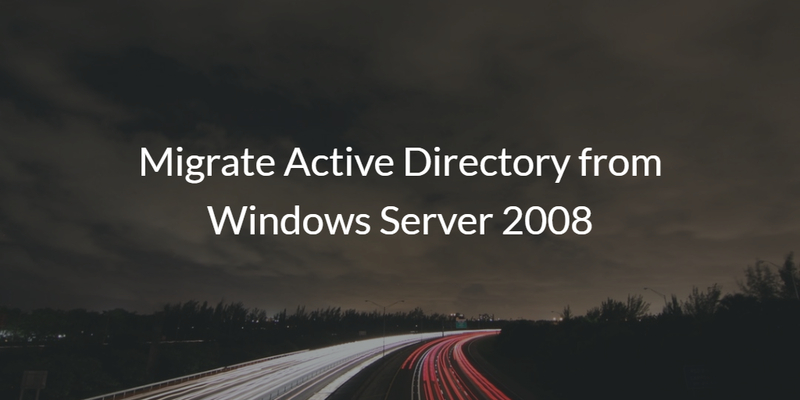 If you would like to learn more about how Directory-as-a-Service can be your alternative to your Active Directory instance on Windows Server 2008, drop us a note. We can share with you how to migrate from Active Directory to our cloud identity management platform. 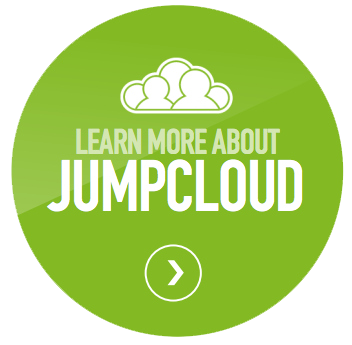 Feel free to also check out our cloud directory for yourself. Your first 10 users are free forever.